It is important to bring to center stage those who have contributed so much to the advancement of building unity in this country around the issues that affect our communities. Julian Bond was one who knew how to take up the issues of the African American community (such as racial profiling, incarceration, and segregation) while building coalitions of people from all colors, genders, and sexual orientations – to build a more just, equal, and democratic society. Julian Bond was a scholar at Morehouse College in Atlanta – but he did not just theorize or write or teach – but turned his theories and his learning into organizing as a social activist and leader in the 1960’s in the Student Nonviolent Coordinating Committee. He was an example of one who, not only fought to ensure the enfranchisement of our communities, but he turned voting power into being an example of a community-based organizer who got elected to the Georgia House of Representatives and the State Senate, to the chairmanship of the NAACP and the Southern Poverty Law Center – and never lost his principles and values – or his connections with the communities who helped elect him. It was when Julian Bond was in the Georgia House of Representatives, in 1970, and I was Student Body Vice President at the University of Colorado – that I met Julian Bond. We invited him to speak on the campus – and I was honored to have dinner with him before he spoke. This was one of those moments that touched my life – and was part of making who I am today. This was a time when Julian Bond was a symbol of the election of eleven African Americans in the Georgia House of Representatives as a result of the Civil Rights Act of 1964 and the Voting Rights Act of 1965. He was an example of the voter registration and voter turn-out efforts – that he personally had helped to organize – to end the disenfranchisement of African Americans – and end the discriminatory practices which systematically excluded them from being able to vote. This was a time when I, and ten thousand other students, voted – at the University of Colorado to go on strike in protest of the Viet Nam War. He reminded us that evening that on January 10, 1966 – the Georgia State representatives had voted 184 – 12 to not allow him to take his rightful seat in the House of Representatives (when he had been voted in) because of his public support of the Student Non-Violent Coordinating Committee’s position opposing U. S. involvement in the Viet Nam war. Imagine – Julian Bond took this position in 1966 – when it was at all not popular to take such a position. It took a decision by a United State District Court to rule that this exclusion was unconstitutional and ensure his position in the Georgia House of Representatives. A good way to remember Julian Bond is to continue the efforts that he led in support of our diverse communities – in support of the disenfranchised. The reality is that the demographics of the largest twenty cities in the U. S. today are now majority Black, Brown, and Asian Pacific. In New York City, three-fifths of those residing in the city are foreign-born with the majority not being able to vote. Among these are the undocumented who contribute much to the economy, pay taxes, but cannot vote. A 50-state study, Undocumented Immigrants’ State and Local Tax Contributions by the Institute on Taxation and Economic Policy, shows that they collectively paid $11.84 billion in state and local taxes. We know that their legalization would lead to an additional $1.4 trillion as a stimulus to the economy. This means that the places where immigrants live are highly overrepresented but they are structurally excluded. This is also true for other historically excluded groups. This is a time when Mass deportations and mass incarcerations expanding to unconscionable levels in recent years – leading to separation of families – children left without parents – poverty, unemployment, homelessness – in our communities. Our prison population has exploded from about 300,000 to more than 2 million in a few decades. The majority of those incarcerated are black and brown. There are more African Americans under correctional control today — in prison or jail, on probation or parole — than were enslaved in 1850, a decade before the Civil War began. And these realities are connected to the right to vote. As of 2004, more African American men were disenfranchised (due to felon disenfranchisement laws) than in 1870, the year the Fifteenth Amendment was ratified, prohibiting laws that explicitly deny the right to vote on the basis of race. These realities come at a time when there are a a record number of Latino and Asian voters that have become the country’s fastest-growing voting blocs and have formed coalitions with African Americans, Native Americans, and progressive white voters to change the political landscape. Alongside Deportation and Incarceration – as well as increased enforcement – as part of ongoing efforts to stop the growing political power of our diverse communities – is a case before the Supreme Court that could redefine “one person, one vote” and voting rights law. This case, Evenwel vs. Abbott, is aimed at changing how electoral districts are drawn across the country (revamping who comprises electoral districts) and reshaping who is ultimately represented by elected officials. The challengers in the Texas case, represented by the conservative legal group Project on Fair Representation, argues that the practice of drawing Congressional districts should no longer use total population from census figures as a marker for creating electoral districts – but that it should exclude those ineligible to vote, such as undocumented immigrants, felons, and young people below the voting age. What this would mean – is that in areas where there are a large number of these groups – those districts would get diluted representation – because the districts would now be drawn just on the basis of the numbers of voters and not based on the total population. Again, this is another example of cutting back on the growing political power of our diverse communities – and the potential of the political strength of the diverse people of color, women, LGBTQ, labor, faith-based, and community-based coalitions – that have manifested themselves more than ever in recent years. It is important to understand the foundations of these efforts to disenfranchise our diverse communities — as having a foundation in the successful organizing in recent years, in advancing the legacy of Julian Bond – in the development of broad multi-racial coalitions, and our growing political strength. In this context, it is important to not react to these attacks, to not be afraid – to not be passive –but to do as now has become our tradition – to organize as we always have – to vote with our feet, with our hands, and with our minds – to unite around our common efforts to have resources channeled for jobs, health, education and quality of life – to support efforts for simplifying voter registration – to get out the vote – to support candidates who support our communities – to hold those that are elected accountable — to not let them scapegoat us – to not let them divide us – but to respond with creative alternatives that can move us forward in implementing our vision for a more just, equal, and humane society. Lessons from an Activist Intellectual provides examples of how an academician can combine the roles of teacher, researcher, and activist with a community-based critical pedagogy for democracy and empowerment. This book discusses the interconnections made between José Calderón’s pedagogy and his history as an immigrant, student, social movement leader, researcher, professor, and community organizer. At the same time, it provides examples of an interactive, intercultural, and interdisciplinary pedagogy that involves both students andcommunity participants as both teachers and learners in social change projects. This style of pedagogy has a particular salience for historically excluded individuals from diverse racial, class, gender, and sexual orientation backgrounds, for whom the educational experience can be both an alienating and empowering experience. The children who are coming here from Central America — are coming as a result of years of this country’s foreign policies toward those countries and the growing violence and poverty. These reasons include the economic inequalities that exist between the U. S. and Latin America – the uprooting of farmers and peasants as a result of trade agreements such as NAFTA that favor the subsidized multinational corporate interests in this country and that result in the undercutting of staple crops such as beans and corn. These policies have historically tended to separate immigrants coming to this country into political and economic refugees. Those coming from Cuba are labeled as political refugees – as running from a country that this country has decided is persecuting them – and has welcomed them with speedy and immediate legalization status. This was also true for Vietnamese refugees who were also labeled as political refugees. Those coming from Mexico or Central America are labeled as “economic refugees.” In practice, the U. S. during the Ragan administration continued to grant refugee status to immigrants from Southeast Asian and Eastern Europe while making it difficult for others fleeing places like Honduras, Guatemala, and El Salvador. Being a refugee –then – has not been a matter of personal choice, but of government decision based on a combination of legal guidelines and political expediency. How one is classified – as an economic or political refugee — depends on the relationship between the U. S. and the country of origin – and the international context of the time. It is problematic because it is not an economic mode of incorporation but a political status, validated by an explicit decision of the U. S. government. The children refugees from Central America come from countries where U. S. companies have been using cheap labor and resources. The children are also running from drug cartels – who would have no success were it not for the demand of the consumers that are primarily located right here in the U. S.. Many are hoping to be reunited with parents or relatives already living in America, and they cross the border without papers because there are virtually no legal ways for them to immigrate. Nor can their undocumented parents return home to get them. The media primarily blames the children leaving because of gang violence – but there is a deeper issues here. A lot of the gangs in Southern California were formed as part of the great migration from El Salvador – when Ronald Reagan and the U. S. government in the 1980’s intervened in that civil war resulting in 75,000 deaths. Many were arrested and deported – and, in El Salvador and other central American countries – we saw the rise of death squads and the mass incarceration of gang members. After the war, there was a rise in gangs and, although the U. S. government has not played any role in developing programs to deal with this issue – groups, such as Homies Unidos, have been in the forefront of organizing and reducing the incarceration of gang members. In Honduras, from where many of the children are coming from – and where Enrique, in the book Enrique’s Journey, came from was a central country in the 1980’s of the wars in Central America. More recently, in 2009, the U. S. supported a military coup in Honduras that resulted in the ouster of the democratically-elected government of Manuel Zelaya. After this coup, there has been mayhem in the government with oppression of any groups that protest. The economy has been in dire stress – and thousands of children have been thrown into the streets. In Guatemala, the U. S. supported a military junta that killed thousands of indigenous people. The media and politicians in this country have bypassed this history when talking about the reasons why the children have been coming here. The Republicans have blamed the problem on Obama and his immigration policy. However, Obama himself, has blamed the children as a reason for why he has been unwilling to use his executive power to advance some form of legalization – like he has been promising. As a result, we have had rabid racism and nativism displayed by angry mobs in places like Murrieta, California with cries that these children have no rights to be here and should be immediately deported. In recent months, Obama put the blame on Republicans for not advancing immigration reform and promised to use his executive power to advance some form of path to legalization for the 12 million immigrants. However, to appease Democratic legislators, who are afraid of losing the November Senatorial elections to Republicans, Obama went back on this promise. Further, he also proposed to do away with a law that gave rights to Central American refugees – and instead proposed spending $3.7 billion to speedily deport the children coming from Central Americas. This, in spite of the figures that showed that there has been a decline in the number of deportations to the three Central American countries — from 8,143 in 2008 to 1,669 last year. This law, the Trafficking Victims Protection Reauthorization Act (TVPRA) that was signed into law in 2000 to address human trafficking concerns and subsequently reauthorized during both the Bush and Obama administrations in 2003, 2005, 2008, and 2013 was passed to ensure that these vulnerable children have the right to basic due process and can have a judge fully review their cases. So far, the Obama administration, under pressure from the immigrant rights movement, has not done away with this law – but it is only our efforts that can ensure that the children who are coming here are not removed through a non-judicial process – but receive the opportunity to fair and full consideration of their legal claims with access to legal counsel. The law includes protections such as the facilitation of counsel and the appointment of child advocates that help ensure that unaccompanied children from non-contiguous countries receive proper care and that their requests for asylum and other legal relief are processed fairly and in a way that is consistent with their age and development. The cost of pushing these immigrant children back into dangerous or deadly situations is simply too high. It is important to stand in opposition to any plan to amend the Traficking Victims Act or to weaken the protections afforded to children from Central America, and we urge your support in ensuring that the rights and safety of these children are guaranteed. These children, under international law, are entitled to be classified as refugees from violence and war. They have the right, as refugees to have legal assistance and to have their cases heard before a judge. Those who are found to be refugees from violence or persecution have the right to asylum. In recent years, the U.S. asylum system has progressed in terms of its recognition of the unique forms of persecution that children face around the world and the need to offer children a full opportunity to articulate their claims to asylum. On the other hand, the system has fallen short of providing the resources children need to assist them in their claims in the form of legal representation and the appointment of a guardian. Moreover, children asylum seekers are often detained for long periods of time, often in inadequate facilities, with little regard for their best interests. Alongside proposals by the Obama administration to advance a speedy process of deportation of these children, we have been witnesses to the largest deportations of any president in recent history. To turn this around and alleviate the current crisis, Obama needs to use his executive power to expand Dream Act protections beyond the one million undocumented young people who are eligible and move forward with a legalization that is not a “deferred deportation” that is renewed every two years – but genuinely develops as a path to legalization. Although Salvadorans and Guatemalans in the United States have been eligible for Temporary Protected Status (a status that allows them to remain temporarily in the U. S. because of civil war, natural disasters, or other emergency situations, there is currently no category that would include the unaccompanied children arriving today. In recent years, we have learned that it is only our organizing work at the grass-roots that can ensure legislation that is truly just – and that rewards, not criminalizes our immigrant brothers and sisters for their contributions – contributions that amount to hundreds of billions of dollars to the U.S. economy each year through their labor, businesses, taxes, and purchasing power. We know that without the labor or our immigrant brothers and sisters, many industries in California and this country would be in economic distress – and these industries are literally demanding the need for these workers – but want them, as in the past, to continue as cheap labor – with such a long way to citizenship – that there seems to be no end to the line where they want to send them to. Our undocumented brothers and sisters have earned the right to keep their families together and to receive back the benefits that they have already contributed to this economy and to economies abroad. Instead of supporting $3 billion for surveillance technology, including unmanned drones and military-grade radar and $1.5 billion toward the construction of a double-layer fence – our coalitions need to continue to call on President Obama — to listen to the mandate of our communities — to use his executive power to immediately stop the deportations of most undocumented, who are not hard-core criminals, but whose only crimes are to work to feed their families here and abroad! This focus on enforcement and against a speedy process goes against the many studies that show how much undocumented immigrants would contribute to the economy – stimulate the economy if they were allowed legalization as quickly as possible. According to the American Progress organization – a speedier legalization would result in an additional $1.4 trillion to the Gross National Product between the present and 2022. Resident workers would benefit with an additional $791 billion in personal income – and the economy would create an average of an additional 203,000 jobs per year. Within five years of their legalization, undocumented would be earning 25% more than they are earning resulting in an additional tax revenue of $184 billion — $116 billion to the federal government and $68 billion to state and local government. Hence, the sooner legalization can happen – the more the significant gains for all working people – and the greater the gains for the U. S. economy. This means the allocation of funds for processing – and not for enforcement – take the millions being proposed for more fence and more border officers – and use it for a more efficient means of doing away with the backlog. Short-term proposals need to include adding resources to process children and families’ claims so that children can be detained for as short a term as possible (released to families or other sponsors as quickly as possible) from Border Patrol facilities that are inadequate because of their contradictory roles as law enforcers without having any kind of expertise or resources in caring for children. That include resources to allow for hearings that are timely, not rushed, — with lawyers, judges, asylum officers, and caseworker services that truly ensure the rights and interests of the children in all proceedings. Beyond the short-term need to ensure protection of rights and safe environments for the children, it is important to deal with the reality of conditions that are occurring in Latin American countries. What is true is the reality that immigrant workers will remain in — or return to their homeland when the economy in these countries improves. If the U. S. federal government is really interested in doing something about immigration long-term, it must work with these national governments to strengthen the sending countries’ economies. In particular, there is no reason why the U.S. cannot develop bilateral job-creating approaches in these key immigrant-sending areas. What is needed now and long-term is moving away from policies that merely focus on an enforcement that racially profiles our communities to policies that will speed-up the process to legalization, and advance a commitment to enhanced funding streams for economic development in the immigrant-sending countries (such as El Salvador, Guatemala, and Honduras). I want to thank the library and the Ethnic, Women’s Studies Department for inviting me to this Latina/Latino Heritage Month event — to bring to center stage those histories that have often been excluded. In this context, I would like to discuss the meaning of the days — September 15 and 16 – that are the foundations of Latino Heritage Month — and that they are not just days to sell beer and have parties (how the media often portrays these days). It is important for us to know that, on these days, we celebrate a number of Independence Days in Latin American countries that developed multi-racial coalitions to overcome colonial oppression and to advance struggles for land, equality, and democratic rights. A hidden part this this history is the development of multi-racial coalitions to advance independence from foreign control. Please bear with me as I share some of the historical meaning of these days in this context. On September 15th, the peoples of Costa Rica, El Salvador, Guatemala, Honduras, and Nicaragua celebrated their independence. On September 16th, Mexico celebrates its independence. And now, these celebrations also include the independence of Chile on September 18th, and Día de la Raza (Columbus Day) on October 12th. Let’s look at the origins of these independence movements:When the independence movement began at the beginning of the 19th century, Latin America contained two large colonial empires, the Spanish and the Portuguese. Spain’s colonies stretched from what is now the western United States and Mexico to Argentina, while Portugal’s empire was in Brazil. Under the system of colonialism, these territories were controlled by Spain and Portugal. The independence movement in these colonies of Spain came to include people of color, slaves, Mestizos, Native Americans, and Spanish-origin criollos. Independence was supported in relation to the economic and racial interests of these diverse groups. The Criollos, who represented a powerful faction in the Spanish empire – wanted an expansion of the free trade that benefited their plantation economy. They were afraid of revolution because they did not want to lose the power that they had. The Mestizos, Native Americans, and African slaves wanted more inclusion in a society that excluded them. In South America, the struggle for independence was marked by two major military campaigns, led by two key figures. In the north, Simón Bolívar led efforts to free what is now Venezuela, Colombia, Ecuador, Peru, and Bolivia. In the south, José de San Martín fought for independence in his native land. The independence movement in Mexico took a very different course from the campaigns in South America. Concerned about the crisis in Spain, a small group of peninsulares (those born in Spain), rather than Creoles (born in the colonies), carried out a coup in 1808. Two years after this coup, a widespread rebellion erupted. The rebellion was sparked by a priest Miguel Hidalgo y Costilla on September 16, 1810. Ringing the bell of his parish church in the village of Dolores, and under the banner of the Virgen of Guadalupe, he brought together 80,000 indigenous and mestizo people. In his famous Grito de Dolores, Hidalgo called for independence and reforms to benefit the oppressed. Here, it is important to bring to center stage — Miguel Hidalgo – as an example of one who brought a diverse coalition of oppressed peoples together – to challenge the power of a much more militarily equipped force – and, with the spirit of a people – motivated for justice and equality – laid the foundation for the further organizing of a movement of mestizos, indios, mulattoes, former black slaves, and alienated criollos who eventually created an independent nation – the nation of Mexico – independent of Spain. After some initial victories, Hidalgo marched his army of about 80,000 to Mexico City — where he and his army met with defeat in January 1811. Ultimately, Hidalgo was captured in March and executed on July 30, 1811. Hidalgo was replaced by another parish priest, José María Morelos y Pavón, who had African ancestry, and who had clearer objectives. He called for social and racial equality as well as independence from Spain. Morelos recruited an army made up largely of idigenous and mestizo – but also recruited African Americans and mulatos from the sugar plantations. In 1815, Morelos was captured and executed – but the banner of independence was taken up by one of the largest guerrillero groups led by Vicente Guerrero, an indio- mestizo. He eventually signed the Treaty of Cordoba with Agustin de Iturbide, a creole officer, who, in September of 1821, is appointed President by the governing junta of Mexico City. It was not long after – that mass revolts erupted against his government. In 1823 the emperor resigned and went into exile, and a republic was proclaimed, but the country continued to be divided among political factions. Itubirde returned to Mexico the following year, but was imprisoned and then executed. III. Similar to what happened in Mexico, the Constitution of 1824 created a federation, the United Provinces of Central America, that included Guatemala, Costa Rica, El Salvador, Honduras, and Nicaragua.. Eventually, the federation is replaced by the independent republics of Guatemala, Costa Rica, El Salvador, Honduras, and Nicaragua. By the middle of the 1820s almost all of the Latin American colonies had achieved independence. The new nations, with a combined population of about 16 million, and Brazil, grew out of movements also that brought together Native Americans, mestizos, people of color, and many women in fighting for their freedom. They also fought to abolish Black slavery. However, it is important to point out that this independence – did not mean an end to inequality, poverty, and social injustice. The structural components of capital and top-down authoritarian rule continued. The new nations faced many economic problems. The years of warfare resulted in the destruction of much of their productive capacity, particularly in their agriculture and mining. Many of the new nations incurred large government war debts which limited their capacity to support economic development. The meaning of these independence days has taken on a special significance today in this context – and are promoted in some of our institutions (as we are doing today) – as part of appreciating our historical pluralism in this country. . But there is no getting around the reality that U. S. pluralism had its origins in laws and ideologies which were used to justify the stratification of different groups through conquest, slavery, and exploitation. All too often, some individuals and groups in our own communities fail to see what is consistent in these legacies and instead judge the other through the lens of their own historical experience. On the one hand, there are those who propose that Latinos have benefited from the legacy of nondiscrimination laws created through the civil rights movement and blame Latino immigrants for the loss of jobs. In general, they don’t understand colonialism and the role that it has played historically in disrupting overseas economies and in stimulating migration. At the same time, there are those who defend Latino immigrants as hard workers who contribute immensely to the society and take the jobs that no one else wants. One of the issues that have been used to divide the various racial groups is the issue of citizenship. With the rise of the immigrant rights movement, in recent years, the issue of citizenship has come to the forefront. There has been a tendency by conservatives to define citizenship primarily as a legal construct with distinct rights and privileges attached, often conferred by one’s country of birth and/or one’s parentage. Groups, such as the Minute Men, have used the constitution to claim that all undocumented immigrants are “criminals” and need to be deported since they are not legal citizens. Like the conservative politicians, the right wing groups use the legal definition of citizenship as a means of attacking immigrants. While all working class people in the U. S. do not have full citizenship in terms of guaranteed employment, health care, and education, the issue is how the right to citizenship has been constructed. As early as 1790, Congress passed a law that defined American citizenship as being only for “free” white immigrants resulting in “non-white immigrants” not being allowed to be naturalized until the Walter-McCarren Act of 1952. If legal citizenship is going to be more than an empty victory, there must be a vision of full citizenship that is both legal and social in nature. True citizenship goes beyond narrow legal definitions to include equality in all spheres. It is in this struggle to achieve full citizenship where there is a common ground. Despite differences in legal citizenship, skin color, country of origin, religious affiliations, language, and region, African Americans and Latinos (for example) share historical experiences where laws, social practices, and race-based ideologies combined to create a caste-like society that benefited a few at the expense of the many. The systems of slavery and colonization served as tools to ensure the Western European elite’s access to the raw materials and human labor found in Africa, Asia, Latin America, and the Caribbean. These systems of slavery and colonization institutionalized a form of structural violence that used laws to ignore a group’s basic human rights. One manifestation of this denial of human rights has existed in the perpetuation of a divisive relationship that African Americans and Latinos have to formal citizenship. In the case of African Americans and Latinos, race was used to keep them in the lower levels of the economic ladder and to use them as a cheap labor force. Blacks were brought as slaves from Africa to the U. S. to have their labor fully used. They were also brought to Mexico and Latin American countries for the same purpose. Very early on, race was used in Mexico to separate Blacks or those who married blacks. Hence, Mulatos were placed at the very bottom. This was similar to what happened in the U. S. It was a way of separating the superior dominant Spanish in Mexico and the English elites in U. S. society. This aspect of history included African Americans being defined as non-persons that could be bought, sold, and traded like commodities; defined as partial persons by the Constitution which counted slaves as three-fifths of a person; and denied true citizenship through Jim Crow laws that punished and killed those who dared to exercise their constitutional rights to vote. Similarly, approximately 75,000 Mexicans woke up on February 2, 1848 to learn they now resided in the U. S. rather than Mexico (McWilliams). The Treaty of Guadalupe Hidalgo ceded almost half of Mexico’s territory to the U. S. Although the treaty assured citizenship rights to the Mexican people and the protection of customs, languages, law, and culture, the treaty was later broken. Instead, they were faced with discrimination in all spheres of life, including loss of land and democratic rights. There was a commonality here in terms of migration. When the African slaves were freed, they became part of the working class and moved north. . “Like most Mexicans, African Americans were following the jobs. By 1930, some two million African Americans had migrated to the cities of the North. Nevertheless, they were historically and structurally excluded from every vehicle that would allow them to have social mobility: homesteading, union jobs, disability, social security and unemployment insurance, suburban housing, jobs and schools, access to higher education. Similarly, as Mexican laborers lost their land, they too became workers in ranching and agriculture. At the same time, they also found themselves as conditional friends: welcomed when there was a labor shortage and deported when it was economically and politically advantageous. When the economy went downward during the depression of the 1930s, for example, the U. S. Government gave consular offices the charge of deporting anyone who might add to the “public charge” rolls.” During this period, at least half a million people of Mexican origin were put on trains and deported In the early years of the depression, any Mexican-origin person who applied for welfare, unemployment, or any type of social service was forced to leave the country under the U.S. government category of “voluntary repatriation.” Approximately half of those deported were U.S. citizens, a clear violation of both their civil and human rights. In the recent decades, thousands of Latino immigrants from Guatemala, El Salvador, and other Central American countries have crossed into the U. S. for economic survival and also as part of a legacy of a cold war strategy that engaged in proxy wars throughout Latin America. Changes in immigration laws and regional economic restructuring are also credited for this migration and the ultimate stratifying of Latin Americans in the low-wage and low-skill service sector. The passage of the Hart-Cellar Act in 1965 increased the total number of immigrants to be admitted to the U. S. and inadvertently gave opportunities to approximately five million immigrants in the service sector based on low-wage workers and an informal economy. In this context, in order to develop unity between our communities, it is important to understand why immigrants come here, why they risk life and limb for a meager existence in the shadows of our laws? In large part, U. S. policies, with international support, have continued the dominance of global corporations in the so-called developing world. The new globalization operates via trade agreements, such as the North American Free Trade Act) and decision-making bodies such as the World Trade Organization. The “free trade agreement” as it is called, has removed existing trade barriers, eliminated tariffs left on American imports, allowed U. S. corporations full ownership of companies in Mexico, and granted U. S. financial services greater access to Mexican markets. The system of high subsidy payments paid to U. S. farmers by the government has allowed for the exporting of poultry, beans, and corn which serve to undercut the small farmers and farm workers in Mexico. Forced to move to the cities and finding no employment there, these sojourners travel to the U. S. – Mexico border where they either find employment in the maquiladora industry or join the thousands of undocumented immigrants who join low-wage economy in the U. S. Any talk of benefits to the Mexican people becomes questionable when one looks at the dismal results of the “maquiladora” industry all along the Mexican side of the border. These corporations, which have runaway from the U. S. in search of cheap labor and less regulation, have not been able to hide the hidden costs of their social and environmental destruction. Not only have they been caught polluting the air and water but they have also had a profound effect on the cohesion of the Mexican family. It is commonplace for these plants to primarily hire women and children. No compensation is made for the hidden costs of profit: familial disintegration and inadequate housing, health, and child care. It is in understanding the historical foundations of independence days and the issues that have the capacity to unite us and divide us – where we can perhaps find a common ground on the meaning of Latino Heritage Month — and in practice – work to build the types of coalitions – that many of the colonized fought for – and that we should be about today – to support the particular issues of oppressed people of color for land, language, culture – and inclusiveness in our institutions — alongside working to defeat a trend that has our diverse communities fighting each other for the diminishing of resources – leaving out the historical and structural reasons for the diminishing of these resources — working together to turn around a trend that is seeking to place the burden of this country’s economic deficit problems on the backs of our children and their families, our immigrants and poor people, our working people. Let us create a meaning of Latino Heritage Month to ensure that the taxes that we pay for are used to help fund the resources that are needed to ensure that our communities have good housing, good jobs, universal health care, — a quality education, quality environment, and quality of life for all – Only in this way can we envision the reality of a local, national, and international democracy — with a vision of ensuring the resource capacity of our diverse local and global communities to survive. Only in this way can we create the genuine foundations of what is meant by true independence, freedom — and a citizenship that advances a common ground of justice and equality in all spheres. Muchisimas Gracias a Campus Compact, a La Verne University, por la invitacion. En invitarme – yo veo que ustedes estan cruzando fronteras — porque yo no soy una persona tradicional de la academia. Soy conocido como un activista – y me gusta la categoria de activista intellectual. Y, a veces, personas como yo – no son tan aceptadas como otros que nomas enfocan en sus estudios y no hacen para usar esos estudios para transformer la sociedad. Este momento es un ejemplo de crear fronteras como un obstaculo a nuestra comunicasion, a nuestra colaboracion, a nuestra capacidad de crear espacios de sostenimiento y de democracia. En este momento algunos de ustedes estan sintiendo el mismo character de oppression y exclusion que algunos de nuestros estudiantes, algunas de nuestras familias, algunas de nuestras comunidades sienten cuando hay inigualdades o falta de reservos en la sociedad. Que pasara si continuara en hablar nomas en el Español? Siempre comienso mis presentaciones en español para enseñar la fuerza del lenguaje – y tambien para eseñar un ejemplo de algo que se puede usar como forma de opresión o de liberacion. Si uno no puede participar – es muy duro desarollar las mas altas posibilidades de desarollar nuestras capacidades. Cuantos de ustedes me entienden? Bueno, a todos ustedes que me entienden – Les damos una A y a los demas una F.
I will stop here because I know that there are many of you who do not understand Spanish. I began my presentation by thanking Campus Compact, La Verne University President Deborah Lieverman, and all of you for inviting me to be here with you today. In inviting me, I explained, that all of you that invited me have crossed borders – because I am not a traditional academic. I am known as an activist – I actually like being categorized as an activist intellectual. At times, persons like myself – are not as accepted as other academics who primarily focus on their studies and do not use those studies as tools to transform the society around them. This moment (I explained when I was speaking Spanish) right now is an example of creating borders as an obstacle to our communication, our collaboration, and our capacity to create spaces of sustainability and democracy. I explained that, at this moment when I was only speaking Spanish, some of you were being treated with the same type of oppression and exclusion that some of our students, some of our families, and some of our underrepresented communities are treated with – when there are inequalities or lack of resources in the society. I explained that I often begin my presentations in Spanish to show the strength of language – and to begin with examples of the possible two sides of oppression and liberation. If one cannot participate – it is very difficult to cross those borders that help us reach the highest levels of our possibilities or capacities. 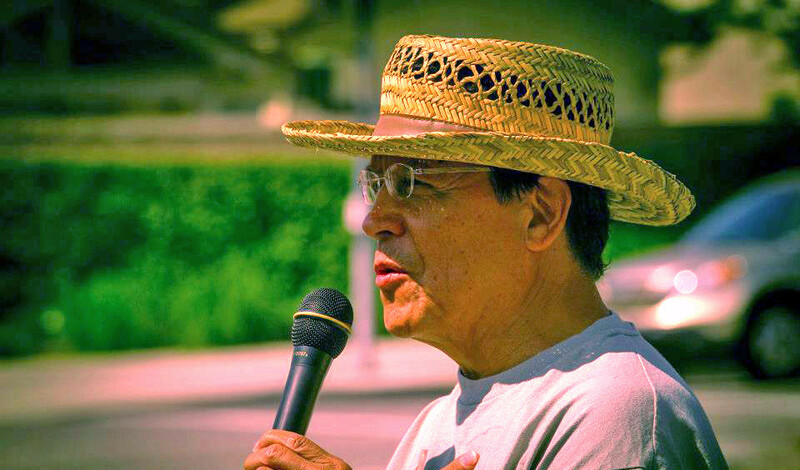 It is in this context that I speak to you today – as an activist intellectual whose passion for education emerged from my history as an immigrant, as the son of a father and mother who were immigrant farmworkers all their lives; as a student who learned firsthand the connection of engagement to social change practice by working with Cesar Chavez and the UFW back in the ‘70’s, as a parent of three children and two grandchildren (whose foundation of familia and engagement lies in the love and support of my wife, Rose), and who now — as a teacher and learner — as an emeritus professor — have maintained my passion for connecting the classroom to social change through the building of community partnerships that are both sustainable and democratic. It heartens me to see the rooting of Campus Compact in 1100 member institutions of higher learning and its tradition of building bridges and sustaining community engagement efforts that are helping to build the kind of diverse, equal, and just society that we all want to live in. And it is transformative community engagement that we need at this time when there are various trends in competition with each other: – one that wants to take us back before the civil rights movement and one that is about the future. In our educational systems there is a trend that wants to take us back to the days of reproducing individuals to fit a more authoritarian philosophy. It is an outlook that promotes a type of a managerial “banking” system where the power of disseminating knowledge is transferred to the needs of the business and political establishments. It is an outlook that fits into the early twentieth century industrial model of schools where students were socialized in assembly-like rows to be taught the status quo and not to be heard from. At the same time, there is another trend that is advancing new forms of research, learning, and practice that are engaging our teachers, faculty, and students in critical thinking and problem-solving to find solutions to our community’s problems. This is a type of learning that is manifested by a vision of developing a citizenry and a leadership that is more engaged and excited about participating in making the future society. This is a trend that has developed numerous studies that show how much students benefit from connecting their learning in the classroom to community engagement: – that, in addition to improving their grades and advancing principles of collectivity (that go against the grain of individualism); — that it enhances the skills of working with diverse populations, and develops a workforce — a form of career preparation that the report I was part of, A Crucible Moment, identifies as creating a “more informed, engaged, and responsible citizenry.” As many of you know, higher education is being challenged right now by various forces outside of academia – who are reducing the expectations of a college education to “labor market needs” – to “industry availability” – to job preparation alone. The National Governor’s Association report Degrees for What Jobs? Raising Expectations for Universities and Colleges in a Global Economy is one example of this trend where higher education’s function is described as being primarily as “workforce preparation.” However, another trend, does see the value of a higher education that promotes critical thinking, having a public voice, ethical and moral jusdgment, and having a long-termcommitment to act collectively for the public good and for a high quality of life for all. For example there are 700 companies globally that have developed corporate responsibility reports that fit right into our teaching and learning practices of advancing diversity, human rights, economic sustainability, and various community engagement dimensions. It is in this dimension that Campus Compact has made great contributions – and we need to continue to do so. As part of this latter trend, Campus Compact has indeed been a leader in helping to create spaces of equity; where students are exposed to a curriculum that does not just deal with the problems in the society but that looks at the systemic and structural aspects of inequity; that brings to center stage the contributions of communities who (because of poverty, racism, sexism, classism, or homophobia) have historically been excluded from our textbooks; and that involves students in working alongside excluded communities on common projects to implement transformative social change. We have advanced and need to continue the creation of examples of democracy in our classrooms. Many of us, from the influence of Campus Compact and community-based participatory leaders, have been in the forefront of practicing what Ira Shor, in his book Empowering Education, calls a critical-democratic pedagogy for self and social change. This approach works to develop a student-centered classroom that involves both the teachers and students in the “habits of inquiry and critical curiosity about society, power, inequality, and change” (Shor, 1992:15). At the same time, it follows with the critical-holistic paradigm that is based on empowering community participants to “help themselves by raising their level of consciousness about their problems and the societal causes and remedies available.” — An approach that combines the creation of a democratic space for dialogue and inquiry in the classroom as part of working alongside community participants to advance models of “social action and social change for the purpose of achieving social justice. This type of engagement has moved our community-based faculty to challenge their traditional control of the classroom and to have confidence that their students will empower themselves to complete their projects. 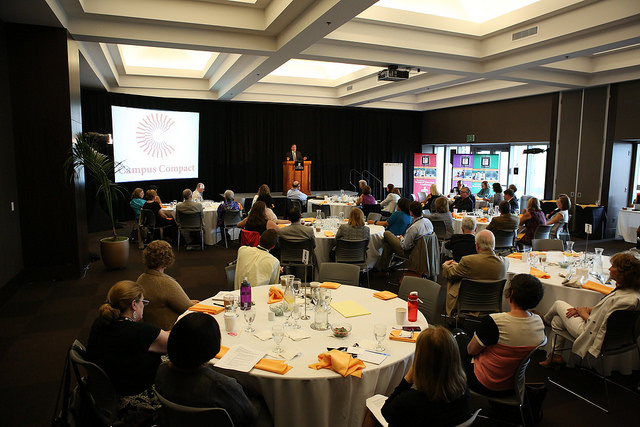 With workshops, retreats, readings, and online examples from Campus Compact and others, engaged faculty have contributed to ensuring curriculum development and structure in the classroom alongside creating a voice for students and community partners in developing their specific interests. Although this type of pedagogy, we have learned, inherently includes ambiguity and uncertainty, the outcomes include hundreds of examples of the benefits to the campus and our community partners. We have advanced in creating new models of collaborative research – models, such as that promoted by Randy Stoecker —where research develops out of a perspective of “trying to understand” the participants we are working with, what is happening to them, and what they can do about the problems that are affecting them” This type of participatory research and involvement emerges from a question that comes from the participants themselves regarding a problem that they would like to resolve. In this process, the participants, in a sense, become collaborative social scientists. That is, they begin by discussing a problem, analyzing how they will deal with the problem, implementing a plan of action, carrying out the action, and evaluating the results. 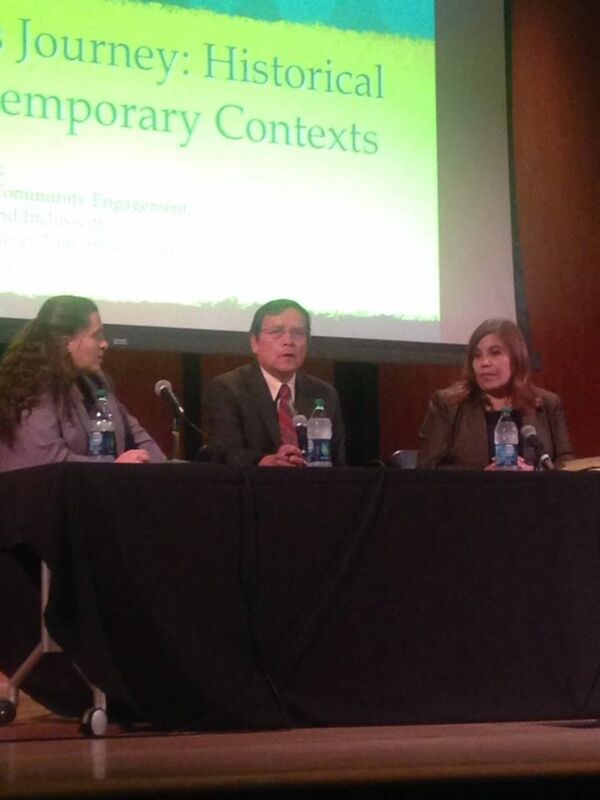 We have made great strides in bringing to center stage those who have been historically excluded – a type of “reconstructing knowledge” that Professors Anderson and Collins have described as moving from an exclusionary perspective to one that shifts “the center” to include “the experiences of groups who have formerly been excluded. Michi and Walter Weglyn, in whose name I held an endowed chair position at Cal Poly Pomona for two years. They were examples of individuals who used their lives to conduct research and to use that research in service to the community and to advance social change policies. helped advance a movement that eventually led to reparations for more than 80,000 Japanese Americans interned during World War II and exposed the kidnappings of thousands of Japanese Latin Americans who were forced to serve as prisoners of war during that time. Similarly, in the last decade, we have had a number of leaders pass away who, like Michi and Walter Weglyn, unconditionally paved the way in frontier areas of service, research, and action in our communities. We have the example of Kenneth Clarke who, along with his wife Mamie Clarke, studied the responses of more than 200 Black children who were asked to choose between a white or a brown doll. Their findings, which showed a preference of the children for white dolls, led to a conclusion that segregation was psychologically damaging and played a pivotal role in the Brown vs. Board of Education Supreme Court decision that outlawed segregated education. In recent years, we had the passing of Gloria Anzaldua whose book, Borderlands, courageously critiqued both sexism and homophobia in the dominant culture as well as in her own culture. There are other examples: Fred Korematzu, Cesar Chavez, Dolores Huerta, Rosa Parks, Harvey Milk, Chief Joseph — of everyday individuals who dreamed, who had a vision, and who used their skills and abilities to organize, to empower others, and to turn injustice on its head. Many of my students don’t know their histories and it is only through our classes – that they learn about the contributions made by these individuals and groups in opening the doors to historically excluded groups in this country. This influence, in applying connections between civic knowledge and civic engagement, helped me in making the connections between history, community engagement, and community-based participatory research. An example of connecting history to community engagement, I take the students from my classes to Delano California to learn first-hand about the many Filipino farm workers who, because of anti-miscegenation laws in this state, never married and passed away in an elderly farm worker village (Agbayani Village) built through the collaborative efforts of students and farm workers. As part of the reciprocity for the gift of direct experience, and in honor of the legacy of the sixty seven elderly Filipinos who have all passed away, we return to Agbayani every year, to sustain the history of these elderly— and to frame the many pictures of their life stories that they left behind. Before visiting Agbayani, the students read about such leaders as Pablo Manlapit, a farm worker organizer in the farm worker fields and Phil de la Cruz and Larry Itliong, organizers in the fields of California, In addition to framing the pictures of the elderly, some students have written journals as part of documenting the oral histories of those who knew the Filipino elderly. One Pitzer student – Laura Aquino – for example, went back to Delano and made a film on the history of the Filipino farm workers. Last year, other forms of reciprocity that the UFW took as forms of helping their efforts – but, for us, were forms of engagement that led to social change outcomes — involved our students in learning about the ill effects of methyl bromide, making signs and leaflets, and organizing an educational picket to inform the public. Upon returning from the alternative spring break, we learned that methyl bromide had been banned nationally. Another example — On the last day of our visit, Dolores Huerta requested our presence at a county commissioner meeting to protest the cutting of a health program that served poor farm workers and immigrants. After sitting in at the meeting of the county commissioners – we were part of a victory that resulted in the program being continued. In another class that I taught, Restructuring Communities, students had the opportunity to study the diverse perspectives on the meaning of democracy as applied to the plight of new immigrants, particularly Latin American undocumented workers in the United States. Through jointly reading an abundance of literature on the global factors affecting immigration, we were able to have deep discussions on the myths that are created about immigrants taking jobs and social services from residents. In this context, students were more equipped to understand the contemporary debates over immigration, free trade, globalization, and the many myths that have been created regarding the immigrant’s taking of jobs, importing disease and crime, and the stealing of social services. In the class on Social Movements, I developed alongside Campus Compact – where, in the early years – I focused primarily on service learning and a curriculum that primarily taught about the history of farm workers and day laborers dating back to the early 1900s. Over the years, however, the syllabus developed to include articles on the issues of community development and sustainability. Now, in addition to students traveling to the headquarters of the United Farm Workers to carry out such projects as I have mentioned and to work alongside all the historic figures they have read about in their books — A primary aspect now, – is to have the students experience how the union has survived by creating alternative forms of sustaining itself through the development of six radio stations throughout the Southwest, low income housing projects that serve immigrant and farm worker families, and a museum, book store and conference/educational center. In the readings, I include articles that have been written on our Pomona Day Labor Center that got started in 1997 through our efforts – and is an example of sustainability. This aspect ultimately develops discussions on how students will sustain themselves long-term or whether it is possible to sustain a movement based on “doing for the public good: without losing one’s values and principles. It is important to continue this aspect of curriculum development to advance a trend in our society that appreciates the contributions of diversity and multiculturalism and builds the types of partnership that are necessary to meet the challenges of the demographic changes taking place in our communities and in the global economy. We see the changing demographics all around us. It was not that long ago – that there were only a few of us at these graduations. 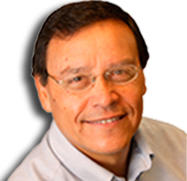 When I started at the University of Colorado back in 1968, there were only a few of us Latinos. Now, we are the largest minority group on college campuses with two million Latino and Latina students or 19% of the college population, but we still only obtain slightly less than the 3% of the PhD’s and 9% of the B. A.’s. Today, we still need to transform our colleges and universities to meet the demographic transformations occurring in the communities around our campuses. There are many inequalities on our campuses – and many of our colleges and universities are stratified much like the larger society. Our colleges still need to embrace community engagement on our campuses – particularly when it involves changing those inequalities – everything from admission policies that are obstacles to the recruitment of underrepresented students to ensuring good wages and benefits for workers of color who are usually the ones who cut the lawns, clean the dorms, put the food on the table in the dining halls, and who maintain the college facilities. As we have learned from the experience of Campus Compact in the last twenty five years, the global world is close to home – right here on our campuses – but also in our local communities. The reality is that the demographics of the largest twenty cities are now majority Black, Brown, and Asian. In New York City, three-fifths of those residing in the city are foreign born with the majority not being able to vote. This is true in or own backyard here in Pomona where the city is now close to 70% Latino – with many of them being immigrant. – And these immigrants do contribute much to the economy — $70 billion per year according to the Urban Institute – and they do pay taxes. This means that the places where immigrants live are highly overrepresented, yet immigrants are structurally excluded. In the last ten years – I have been part of various projects — as a Civic Scholar with Campus Compact, — and more recently as part of an AACU National Task Force on Civic Learning and Democratic Engagement — where the idea has been advanced of developing the classroom as part of the civic realm, as part of the reality of global interdependence, that encourages a critical analysis of the challenges that we are facing politically, socially, and economically. There is no contradiction here and the new partners can include, not only unions, but the entrepreneurial communities – many who have stated the qualities of what abilities they want in new employees: effective listening and oral communication skills; creative thinking and problems solving skills; the ability to work with diverse populations; the ability to work ethically, collectively and collaboratively in the decision-making processes; the ability to cross borders in knowing other cultures; and the ability in “thinking on the level of the future” to provide new innovative solutions to systemic problems. These issues are in our backyard. The recent influx of children and families from Honduras, Guatemala, and El Salvador brings to light issues of violence, poverty, drug cartels, and the federal government’s policies on whether they should be treated as refugees or not. These are prime issues for our students, faculty, and community engagement centers to get involved with. The potential is there not only for learning about these communities – and not just reading about policy change theories in the classroom – but to leave room for the actual practice of organizing, empowering, and using research to create new models of social change. The expansion of this trend with sustainable resources is important for the creation of new knowledge and for the creation of a new future – in connecting the classroom and the community – between the local and the global – not on a short-term basis but long-term – where the campus and faculty make long-term commitments to specific sites, specific communities and specific issues that cross borders in understanding and helping communities to get at the root of problems. I have the fullest of confidence of Campus Compact with its track record and what it has already achieved – and I am confident that it will continue to strengthen community partnerships and continue creating spaces that are examples of a more equitable and just society – where civic engagement is a tool for the recruitment and retention of underrepresented students – and where it serves as a pipeline for students from k-12 – that can lead to positioning but without loss of principles and values – the principles and values of creating a democracy that is participatory and ensures the full voice of our communities. Campus Compact already has the roots in our universities and colleges – and is positioned not only to advance community engagement – but also create to create the types of models of the kind of world we want to live in – with policies that have the interests of the highest quality of life for our communities. It is impressive that Campus Compact has survived 25 years within the tidal waves of those who want to reduce higher education to simply career training – and it is more important then ever to build on the achievements to ensure that we, locally and globally, continue in a path that ensures economic development alongside ensuring the fullest potential of advancing the highest levels of democracy in our voice, in our thoughts, and in our practices. As part of how far we have moved along this path, it is imperative that we continue be in the forefront of creating campuses that are models of a long-term commitment to sustain community engagement for positive systemic and structural social change – as a part of the culture of the campus throughout the various disciplines. This takes the development of a long-term strategy and perspective that all of you are here to help develop – a commitment that sees our work in the context of improving democratic spaces of diversity – and that allows for the full participation of our students and our communities together in finding solutions to the problems of inequity that are prevalent on both our campuses and our communities. Speaking at the National Campus Leadership Network Conference at LaVerne University.